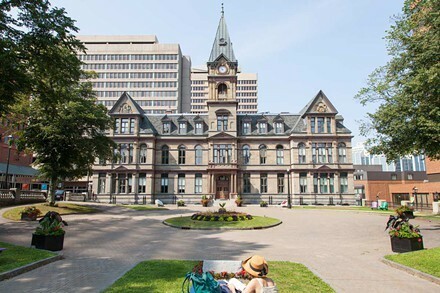 Halifax looks at $10 million reserve to fund $75 million in capital projects. City Hall's pretty jazzed not to be Province House right now. The municipality’s strong financial health prompted Regional Council on Wednesday morning to consider $10 million for a new strategic infrastructure reserve to finance an additional $75 million in debt. 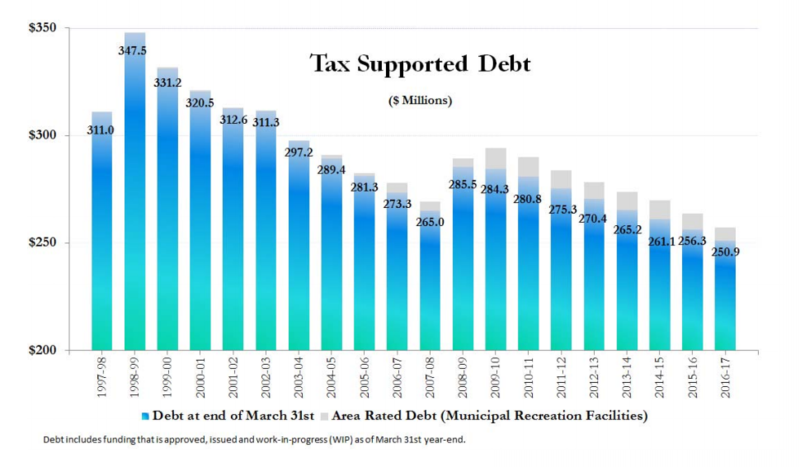 “The economy is generally good on a go-forward basis,” fiscal and tax policy manager Bruce Fisher told council, noting that HRM’s debt is down “dramatically” since the late-90s. At amalgamation, HRM’s debt stood at $242 million. After amalgamation, with transition costs and dealing with new Otter Lake landfill, that debt ballooned to $350 million. Currently, it sits at a little under $251 million. That’s almost the level from before amalgamation, and it’s despite two decades of inflation. “The municipality is in a strong position to repay its debt and any pressure to reduce services or raise property taxes is limited,” says Fisher’s report, prepared for today’s budget talks. The province asks for a 15 percent debt servicing ratio. Halifax is at six percent. Some councillors couldn’t help but take the opportunity to compare HRM’s fiscal state to the province’s. While council will stay the course with financial planning right now, the motion to prepare a business case for the new $10 million fund passed unanimously. Councillor Tim Outhit took pains to stress that financial reserves are of great benefit to governments in case, say, a billion dollar new hospital is suddenly needed. “We’re really in pretty good shape compared to other municipalities and our provincial colleagues,” said Outhit. Halifax has set targets to decrease debt-per-home by three percent each year, while increasing its capital projects budget by an equal amount. Overall that’s been working—the debt is dropping—but Fisher and his staff warned the capital budget is now placing pressure on the operations budget, which in turn has led to departmental cuts to avoid raising taxes. In order to ease that pressure and still have money set aside to finance large infrastructure projects, Fisher recommended creating the new strategic reserve with an annual budget of $10 million. That would be funded through the $4.3 million already in an infrastructure reserve created last summer (the result of a one-cent tax hike), and $5.7 million now available thanks to passing the new operating agreement for the Otter Lake landfill. According to Fisher’s report, the new reserve could allow HRM to safely take on an additional $75 million in debt and still maintain flat taxes for the fiscal year. 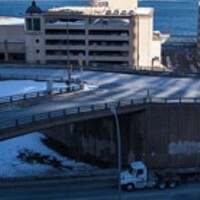 It could also be leveraged with cost-sharing agreements from the provincial and federal governments to fund as much as $225 million in capital upgrades. The new fund could be at risk though, said Reg Rankin, if Mirror NS (Otter Lake’s operator) isn’t approved for new operating permits or decides to withdraw from the contract. Rankin inferred that the company has a four-year window to back out of the new agreement. That information, like almost any other details about the contract, hasn’t been released to the public yet, which prompted a gentle reminder from acting-CAO John Traves to Rankin. Traves said he didn’t believe the landfill’s operational conditions posed a “significant challenge” to the municipality’s financial planning. According to Fisher, average home assessments in HRM are up nearly one percent this year, and residential growth is up 2.6 percent. Commercial growth is up 4.1 percent in the municipality (excluding special agreements).